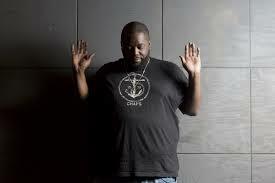 In a comedic moment Killer Mike pokes some holes in Bill O’ Reilly’s statement by saying how black women are some of the most devoted people to Jesus. Even going to compare Jesus to Tupac Shakur. In the show’s overtime segment, Killer Mike explains how Hip-Hop began as an alternative for violence. Also admitting it has gone off the rails a bit, but breaks how stupid it is to link the two. Thankfully, he also reminded that rap music is not hip-hop but only a pillar to what the culture really is. In another part of information rarely put in perspective is how hip-hop artists stimulate the economies in the areas they come from that never would have been otherwise. Of all the violent acts that are committed in this world and the reasoning behind them, hip-hop is one of the last things pundits like Bill O’ Reilly need to worry about. Of course he will likely spin this on his show sometime this week. As long as rappers like Killer Mike are around to articulate those that do not understand then hip-hop will be in a good place. But in other news today, a shocking report was released by Gawker.com which reported that Fox’s big mouth also was accused of brutally beating his former wife back in 2010. According the reporter, Bill O’ Reilly dragged then wife MaureenMcPhilmy down a flight of steps by her neck and his young daughter was a witness to it. Good thing he is not trying to blame that too on hip hop. I have just downloaded iStripper, and now I can watch the hottest virtual strippers on my desktop.